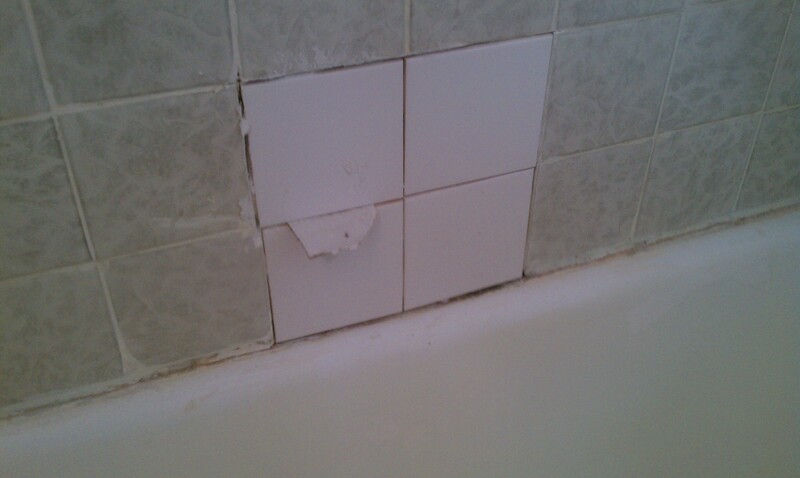 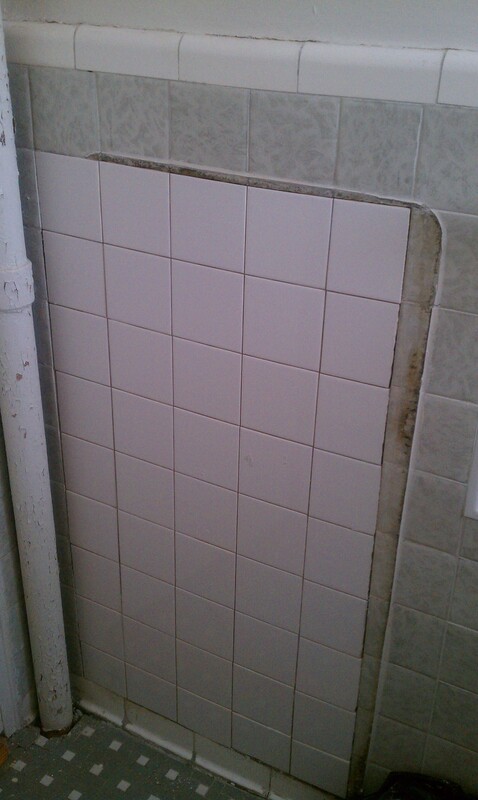 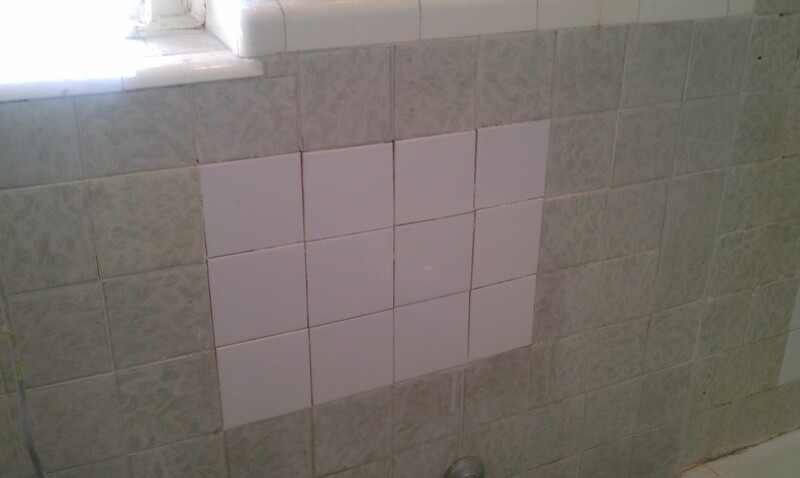 Before tile refinishing, the wear and tear is obvious, the grout is stained and missing, cleaning is just impossible. 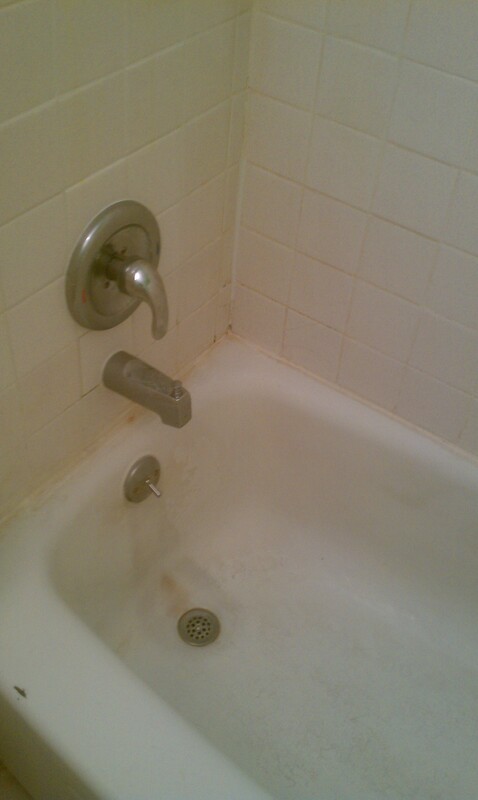 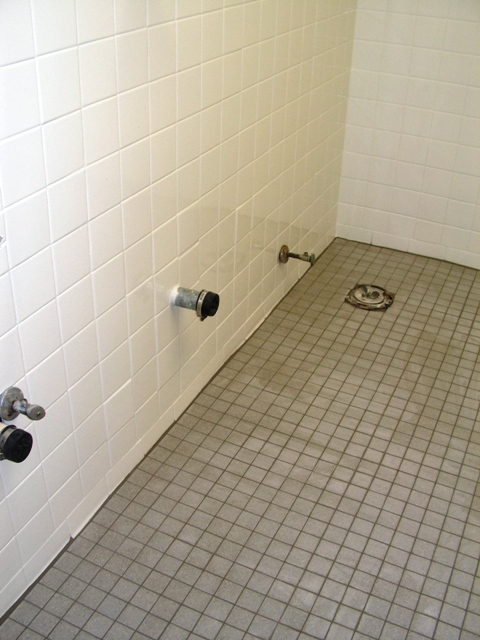 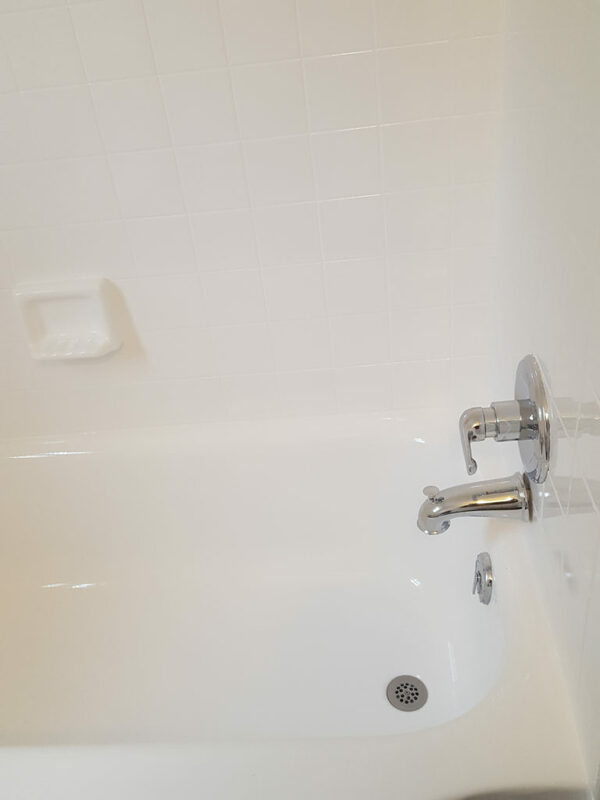 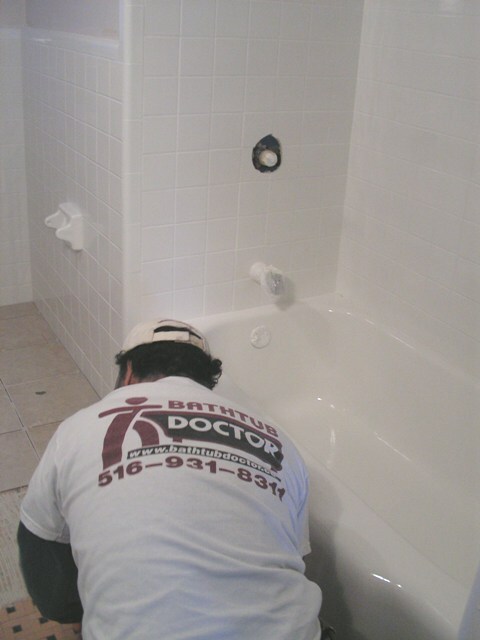 Before you embark on full bathroom remodeling consider bathtub and tile refinishing. 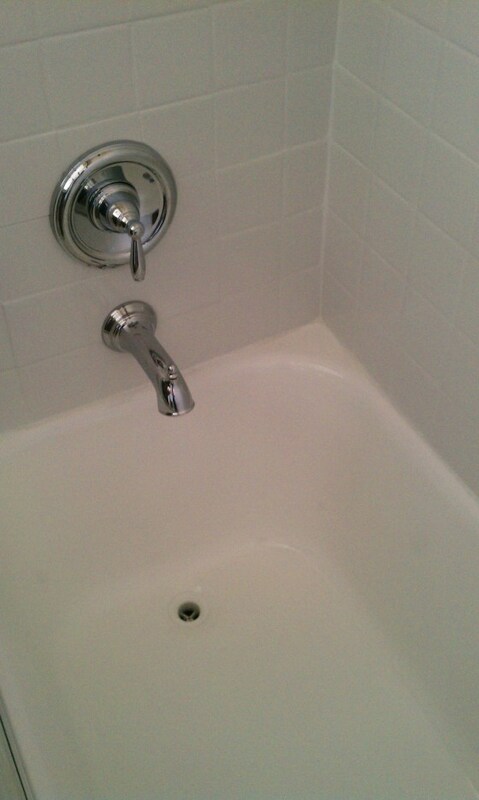 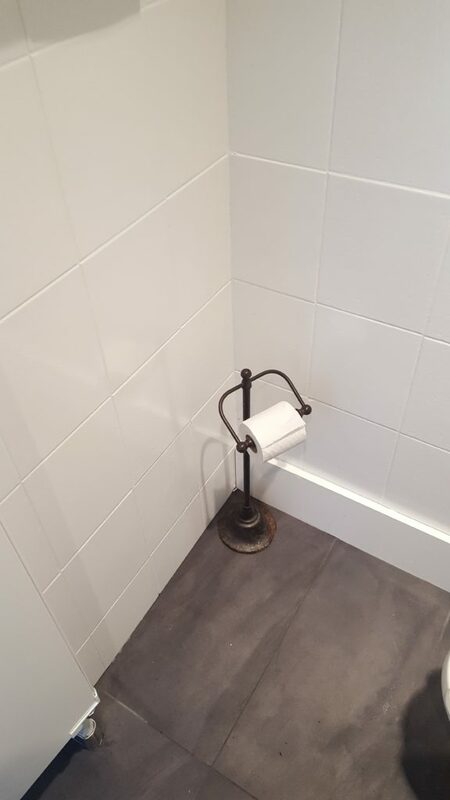 It can save you time and money and it looks great.